47356 The Ghurkha at the diesel depot. In August 1996 the locomotive had been reallocated from Tinsley, where it had been unofficially named from 3rd June 1995, to Crewe Diesel, transferring at that time from Railfreight Distribution to Freightliner. 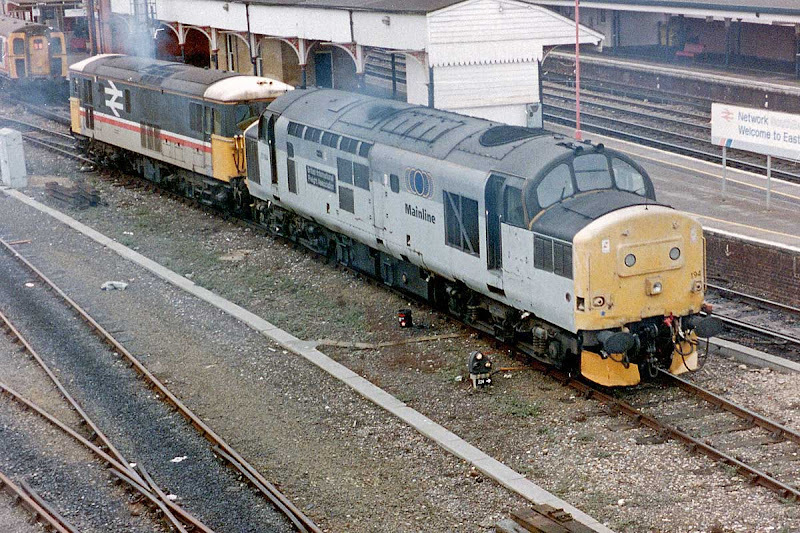 In April 1998 moved into the Class 57 programme and emerged from Brush as 57001 in August that year. Now understood to have been sold on to West Coast (to be confirmed). To the left is 33021, now preserved, and to the right 33109 with its removed Captain Bill Smith RNR nameplate, now preserved at the East Lancs Railway. 73139 works on diesel power at Eastleigh station. Now preserved at the Weardale Railway. 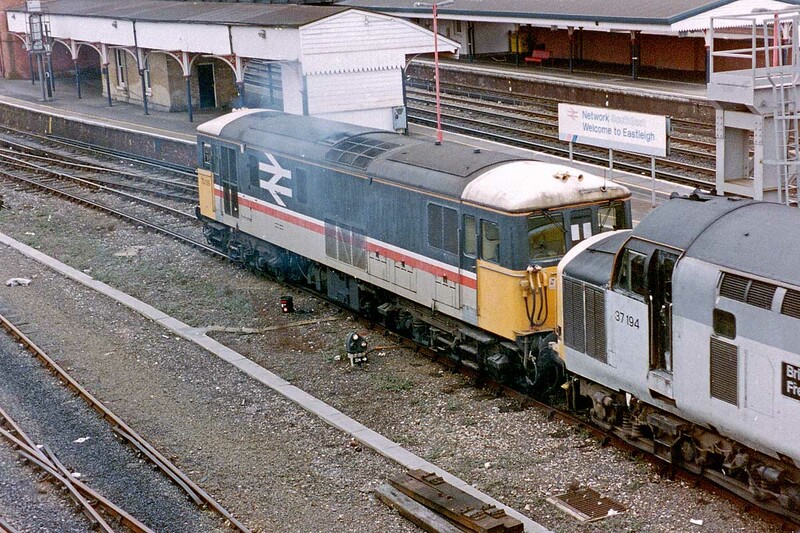 37194 British International Freight Association is shunted at Eastleigh. This locomotive is now working for DRS. 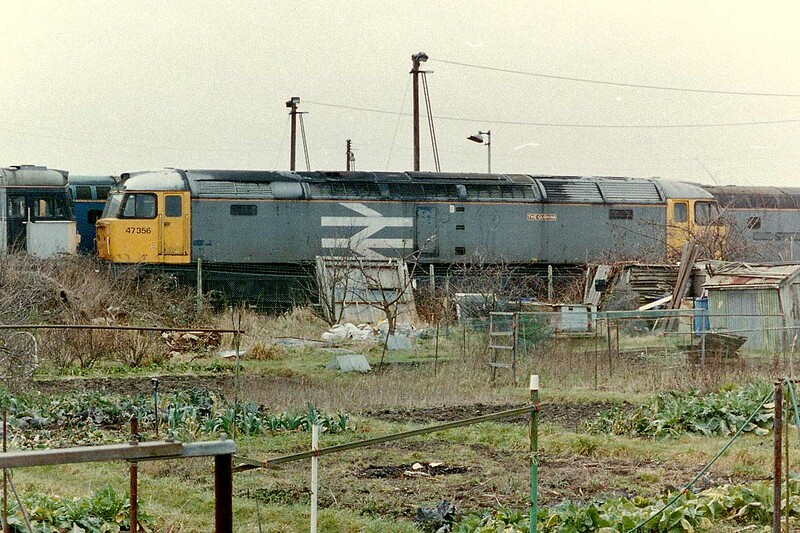 It was stored unserviceable in January 1999 and moved to Barrow Hill in August 2000. In October 2002 it joined the Harry Needle leasing fleet, and transferred to DRS in February 2005. In March 2010 it was the first locomotive over the new level crossing at Sheringham.